Passengers went through long lines and delays at airports around the world as a check-in computer system failed on Thursday morning, Sept. 28. 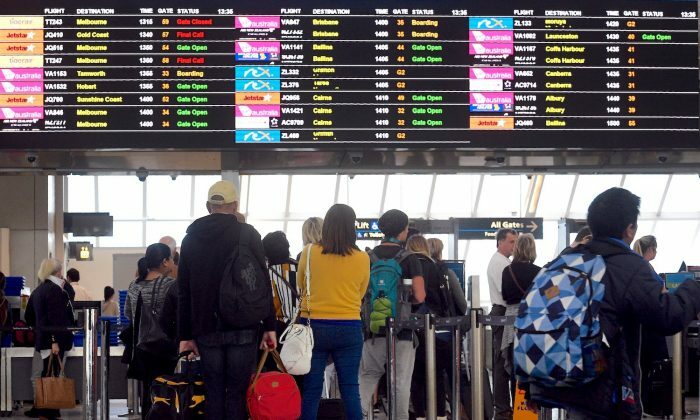 The failure affected many airlines at major airports around the world simultaneously, including in New York, London, Paris, Melbourne, Singapore, Zurich, and others. For several hours, people couldn’t check in at the airport check-in desks, kiosks, computers, or on their mobile apps. The reason the problem affected such a large portion of the air travel industry at once was because all the affected airlines use the same departure control system—Altéa. Altéa is used by over 100 airlines, according to aviation analyst Alex Macheras, including British Airways, Air France–KLM, Qantas, Lufthansa, and others. #Altea is used as a Departure Control System (used for check in, updating reservations, boarding, etc) by 108 airlines worldwide. The chaos began at round 5:30 a.m. ET as customers started to complain that they couldn’t check in. At 9:20 a.m. the company posted on Twitter that all of its systems have been recovered. Malfunctions of computer network systems that Airlines rely so heavily on have caused problems before. In May, some 75,000 passengers were stranded when British Airways’ flight, baggage, and communication systems collapsed. The airline blamed the failure on a power surge that knocked out the power supply to the system and also rendered the backup power supply ineffective. A month earlier, Germany’s Lufthansa and Air France suffered a global system outage which briefly prevented them from boarding passengers.